Think back on what your definition of fun was 5 years ago, then compare to how it’s like now. The majority of you would probably notice quite a difference. 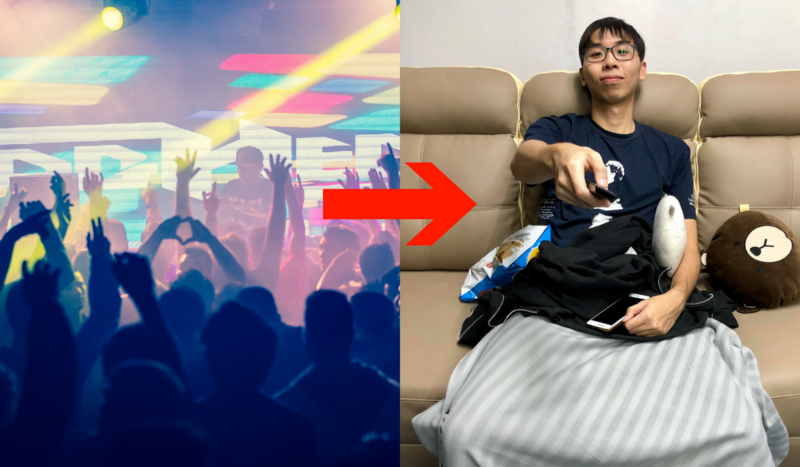 There’s no longer an urge for you to party until the wee hours of the morning, instead you’d rather enjoy staying at home with a nice hot beverage and having a good show playing on the television. Some people define it as going through a “social menopause” and it’s a very normal thing. It doesn’t mean that you’ve stopped trying to enjoy yourselves, it’s just that the factors or situations that bring happiness have changed. Here’re a few examples of what we mean. 1) Going out to party is so leceh now, you prefer friends to come over. There’s a recurring problem where your circle of friends will invite you for a fun night out and you physically sigh, wondering if you want to deal with the crowd of strangers and effort it takes to leave your cosy home. So you counter-offer with a night in instead, playing your own sweet tunes and enjoying company over some drinks, because it can still be a party with the right people. 2) The best part about going to Shopping malls now is completing errands there, not to lepak. During our teenage years, the shopping mall was the “it” place to be if you wanted to blend in with society’s expectations of being cool. So even if you didn’t really have a reason to be there, it was still a prime place to just “lepak” with your buddies. Now, you have actual reasons to go to a mall. You’d prefer to only enter a mall once you already have a list in your mind of things to do or buy. And you’re not gonna lie, it’s actually exciting heading to the grocery store. Not to mention the feeling of checking off that errand on your list is oh-so satisfying. 3) You don’t need time to dress up for a night out because nothing’s more comfortable than those pasar malam shorts you own. There’s less of a pressure to “dress to impress” when you reach a certain stage in your adulthood. It could be confidence because you think you look good enough all the time that it’s not a worry. Or it could be nonchalance because you can’t afford to care what people have to think about your outfit choices. But most of us can agree at this point in our lives, being comfy is all that matters. 4) You nap whenever you can because you know down to your deepest bones that your one true love is uninterrupted sleep. Growing up means getting more responsibilities, which means busy schedules. Hence why you don’t even complain when you have some free time because you know that there’s a high chance you’ll be spending it sleeping. Heck, if you had the choice, being in bed for an entire weekend sounds like a good time. 5) Why bother going out to movies when you can chill at home with Netflix? You don’t really have the time to be catching up on all the latest blockbusters in the cinema, but that doesn’t mean movie nights can’t be a thing. The catalogue of movies on apps like Netflix is more than enough to keep you entertained at home, where you can be in your lounge clothes and you don’t have to worry about wailing children ruining your viewing experience. 6) An ideal date involves tapau-ing food and chilling indoors (unless you got a promo code at some restaurant). The best kind of relationship is when you want to have a nice date with bae but you’re both too lazy to go out, so you improvise and make do with good take-away while enjoying each other’s company. 7) Hang-out sessions with friends have to be scheduled at least 20 business days in advance instead of a “See you in 5 minutes”. With so many things you’ve got going on in your life, it’s become crucial to have a planner of some sorts to make sure you’re not missing out on anything. Spontaneous outings are a rare occasion and you’ve stopped feeling bad when you have to reject someone’s sudden invitation because you’ve got your priorities set. 8) Cooking for yourself is actually therapeutic me-time, plus you also gotta save your expenses somehow. No matter how much you age, the broke life never leaves. But cooking isn’t so much a necessity than another avenue for you to discover. Going through food recipes online or finding little ways to make your cheap meals more enjoyable is something you find yourself looking forward to. 9) You don’t need to force yourself to believe that doing workouts can ACTUALLY be fun. You’re at an age where your body may not be at its peak compared to your more youthful days so you’re starting to make more health-conscious choices. But it’s less of a chore and more of an enjoyable way to pass time—especially with the many innovative exercises people have come up with to keep your body fit while also giving you a good time. 10) You’re deeply thankful when your bar hangouts end before midnight. There are nights when you do actually feel like socialising (or you’re dragged out by your friends) but the best part about the whole evening will be when your friends agree to call it in early and you’re finding yourself leaving the bar or mamak earlier than expected. There is quite a shift in mindset when you reach this point of your adulthood because of how your definition of fun has changed. You start realising that you’d rather invest your time and money into something that gives you entertainment in a long-run rather than spontaneous nights out. Hence why you’ll find yourself willing to spend money on streaming subscriptions, purchasing a gaming set-up instead of going out to cyber cafes, or even investing in a television to complement your homebody lifestyle. If you belong to the latter and you’re in the market for a good affordable option, you can take a look at the Panasonic OLED TV FZ950. With 4k OLED HDR quality, the visuals offer a great balance of vibrant colours while maintaining a realistic look to give the best viewing experience. It’s also used in the production of a few blockbuster movies, so you can technically make that home cinema fantasy come true! The TV retails at a starting price of RM10,999 and comes in sizes from 55-inch to 77-inch. 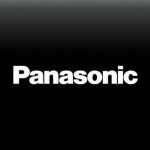 For more information on the Panasonic OLED TV FZ950 or what other ranges they have, you can click here. This article was written in collaboration with Panasonic.